About 1840, Bryan O'Donnell donated two acres of land from his farm for a church and cemetery. 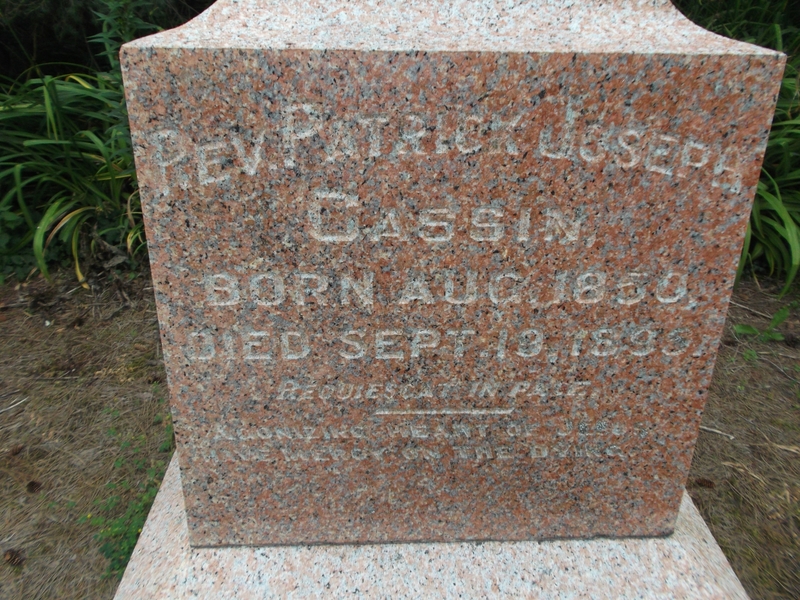 The first burial is believed to have taken place in the 1840's. The last burial was Elizabeth Finucan on March 3, 1960. Restoration of this cemetery took place in 1966-1972. Bye Construction of Mount Forest was hired to do the work. They leveled the ground, a cement base was prepared for the tomb stones. There were a lot of flat stones broken and so badly deteriorated making it impossible to read any names on them so at the rear of the cemetery a section of land was excavated and these were buried there. Then, finally, it was seeded to grass. 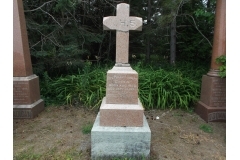 With the assistance of a Provincial Grant, and a grant from Arthur township, and volunteer labour, the Pioneer Cemetery was made into a beautiful resting place for the early settlers. Many of the tombstones are inscribed with the country from which the deceased came. Quite a few were born in Ireland. From the edge of the road, the tombstones almost seem to be laid out in the shape of angel wings with the centre being the tombstone of Rev. Cassin. 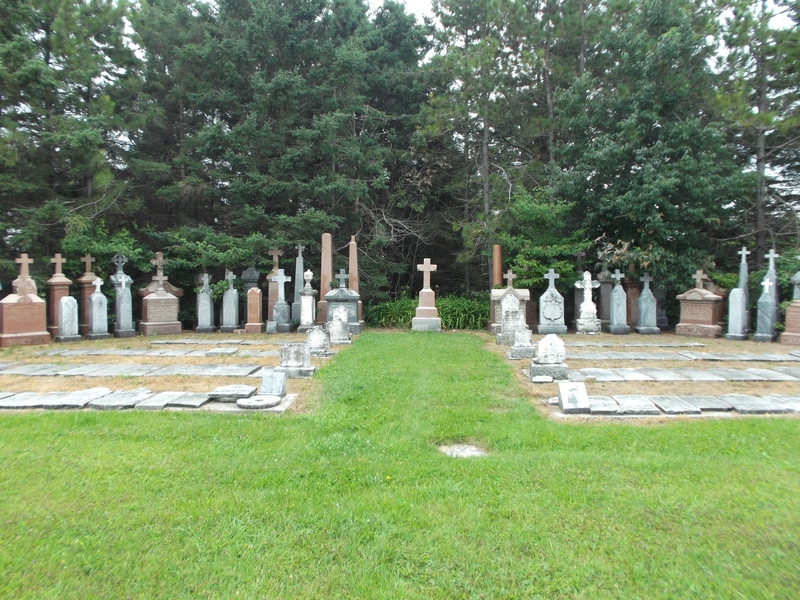 The cemetery is located on the west side of Highway 6 north of Sideroad 6, Mount Forest. Though it is on the side of the road, It is surrounded by trees, and may be missed unless you are looking carefully. There is no plaque or sign with the name of the cemetery.